1. Arraignment: You are required to appear unless advised by your attorney that arraignment is waived. At arraignment, the court will advise you of the charges, set your next court date and impose bond conditions which may include random alcohol testing or alcohol monitoring. 2. Pretrial Conference: For misdemeanor charges, a pretrial conference is scheduled and a plea bargain may be negotiated or your case set for trial. 3. Substance Abuse Evaluation: You will be interviewed regarding your substance abuse history and a report will be prepared and provided to the Judge at the time of sentencing. 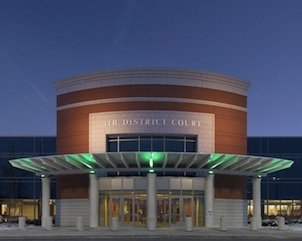 In general, the District Courts in Macomb County do not impose jail time for first offenders convicted of a drinking and driving offense. In many cases, our firm has been able to advocate for non-reporting probation. If there is a probation violation, the Court can impose any remaining jail time for a maximum of 93 days for OWI or Impaired or 180 days for Super Drunk. A probation violation can occur if a person receives a new criminal charge, fails to attend counseling or fails a random test. Super Drunk (High BAC .17% or more): License Action: 45 days suspended, 320 days restricted with ignition interlock device, $2,000.00 driver’s responsibility fee, 6 points. Operate While Intoxicated (OWI or DUI): License Action: 30 days suspended, 150 days restricted, $2,000.00 driver’s responsibility fee, 6 points. Impaired Driving (OWVI): License Action: 90 days restricted, $1,000.00 driver’s responsibility fee, 4 points. -To and from probation, community service and school. -Driver License revoked minimum of 1 year for 2 drinking and driving offenses within 7 years or 3 offenses within 10 years. -A person may be charged with a felony for 3 lifetime drinking and driving offenses..
-If you refused the chemical test (implied consent refusal), you must file for a hearing or your license will be suspended for 1 year! You have limited rights to appeal a suspension based upon implied consent refusals. -If your BAC is .17% or greater, an OWI can be amended to Super Drunk prior to final disposition or plea.